As the UK autumn sets in, we thought it high time to take a time out and do a social media reality check. We execute social media campaigns for a variety of organizations, from hotels to destinations and nonprofits to associations. With every campaign, there's always a mental checklist we keep as we create and implement strategies to ensure our efforts are goal-focused, measurable and successful. If you're thinking about implementing social media into your organization's marketing plan, here are 10 things to keep in mind as you're developing your strategy. Social is not just another piece of the marketing pie - Well-intentioned broadcast marketers will have you believe that social networking platforms simply offer an additional channel to distribute your message. Not true! Companies and organizations that use networks to broadcast press releases and (only) talk about themselves will continue to be roadkill. Everyone's an expert, no one's an expert - Social media experts, of the just add water and stir variety, continue to come out of the woodwork. Many can talk the talk but not walk the walk! Knowing how to tweet doesn't make you an authority. Years of productivity, a solid reputation and quantifiable results does. Some things never change - Yes, there's been a paradigm shift away from broadcast communications and towards engagement but the basic rules of communication, PR and marketing practice still apply. Good old fashioned business ethics continue to rule the day! Knowing who you want to impact, the value your organization brings and understanding the other person's needs before you get in touch continues to be mission critical in all marketing efforts. Social media is more than Facebook, LinkedIn and Twitter - While uber-important, social networks make up only part of the social media ecosystem. Email lists, web forums, user groups, photo and video sharing services, podcasts, social bookmarking sites and niche online communities are all part of the social media mix. It's important to seek out where your customers are socializing and get involved in conversations on their turf. It's all about building relationships - All marketing is about building relationships. Social offers tools and platforms to get the job done, but they don't replace the one-on-one interaction necessary for being successful. And, relationships take time. We live by the adage that it's never about the technology, but always about the people. Don't drink the social media Kool-Aid - There are many things that social media can do, but it will not cure cancer, right the economy or solve the Middle East crisis. We tell clients that there is rarely a silver bullet. However, with hard work and marketing smarts, social media can certainly help you reach your campaign goals. It's not one thing you do, it's everything you do - Our most successful campaigns are those where all program elements work together. Social media, search, email and traditional should all work in tandem. 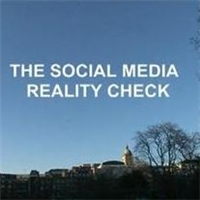 Social should not be standalone, rather it should be baked into all campaign elements. Build it and they may not come - Some organizations are moving away from a destination website mentality and more towards an outpost-focused, community building strategy. While it's great to set up your brand's social media outposts on Facebook or LinkedIn, it's also important to remember that customers and supporters might be involved in other social media and affinity groups as well. Social is not only about return on relationship - We gauge our success by qualitative and quantitative metrics. While awareness, brand recognition and reputation are important, so are metrics that include money raised, increase in attendees or subscribers and widgets sold. Plan to measure your social media efforts in such a way that you can easily track results. At the end of the day, social media is all about being social! - If you're a practitioner, it's also a good thing to be sociable - sharing, listening, learning and laughing! No one wants to socialize with someone who is either a) broadcasting, or b) not socializing at all. Find your social media voice and make it a part of your brand.